When circuit performance and availability are a must and outages are not acceptable, the 2361 T-1/E-1 Fiber Optic Modem is the tool you need. A Bit Error Rate Test continually checks and reports the optical link quality. Comprehensive configuration, status and diagnostic management functions allow Tech Support personnel to rapidly identify problems. 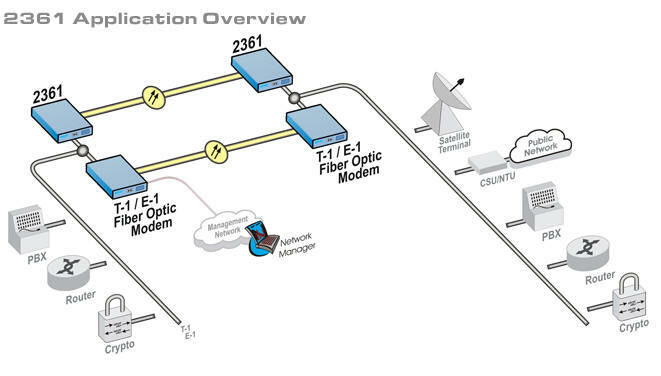 For protection against Modem problems and fiber outages the 2361 supports full modem redundancy. With the use of a special “Y” cable, your application attaches to redundant modems. Switchover is automatic on fiber cable or modem problems. 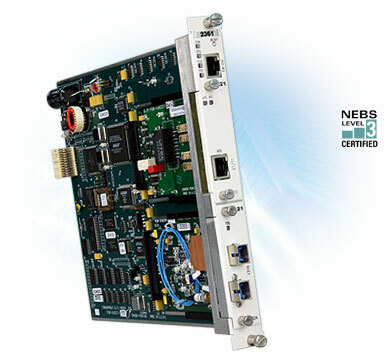 For mission critical applications and revenue protection, the 2361 meets and exceeds the demands made of it by Service Provider, Military and Commercial customers throughout the world. The 2361 allows quick problem identification and even helps anticipate troubles before they happen, keeping applications running and user satisfaction high.